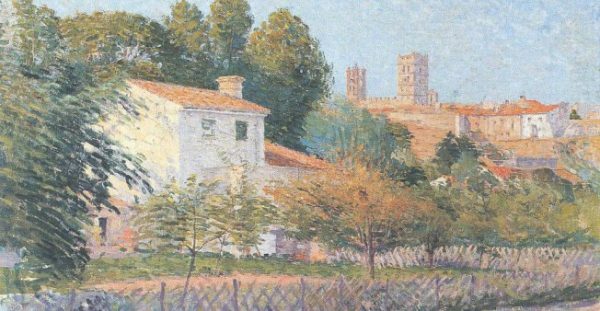 A museum in southern France dedicated to painter Etienne Terrus has discovered that more than 80 works in its collection are fakes. Local police are now investigating an art forgery ring specialising in Catalan painters. Suspicion that the paintings, watercolors and sketches were fake was first sparked by art historian Eric Forcada, entrusted with overseeing the Terrus collection during a renovation of the small museum in the artist’s hometown of Elne. A key detail was that some of the buildings in the paintings were built after Terrus’s death, local radio station “France Bleu” reported. The museum assembled a committee of experts to inspect the works, which concluded that 82 of them had not been painted by Terrus. The forged works are currently being housed at the Elne police station. The police investigation is also looking into trafficked paintings by other artists throughout the region. Terrus, who was a close friend to artists Henri Matisse and Aristide Maillol, died in 1922. The museum, which is run by City Hall, purchased the works in question over a 20-year period between 1990 and 2010. They are thought to have spent around 160,000 euros on the works. The museum has filed a case against X, a French custom which puts pressure on the authorities to seek out the culprits.